Intended for any application where a high quality, reliable, locking, touch-proof connector system is required. The CliffCon® range of connectors are tough and durable multi-pole plugs and sockets. Designed for high power applications, contacts are touch-proof and meet the safety requirements of IEC 65/348. Features include an easy, foolproof locking mechanism and high reliability wiping contacts. 4 PC series - 4 pole straight or 90° plugs, for high or low voltage and either chassis or PCB mounting sockets. 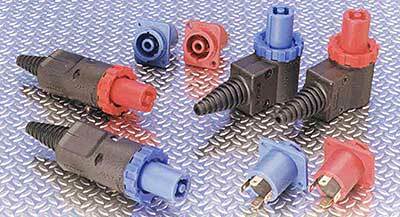 8 PC series - 8 pole 90° plug and chassis mounting socket with optional dust cover. Miniature ZC series locking multipole (2 to 8) shielded connectors. Line connectors for coupling two plugs in cable extensions (4 pole). Touch-proof contacts to EN60065, IEC348, IEC 1010-1. Safety leading ground pin which makes first and breaks last to prevent damage from arcing if disconnected under load. Built in cable clamp from 6 to 15mm. 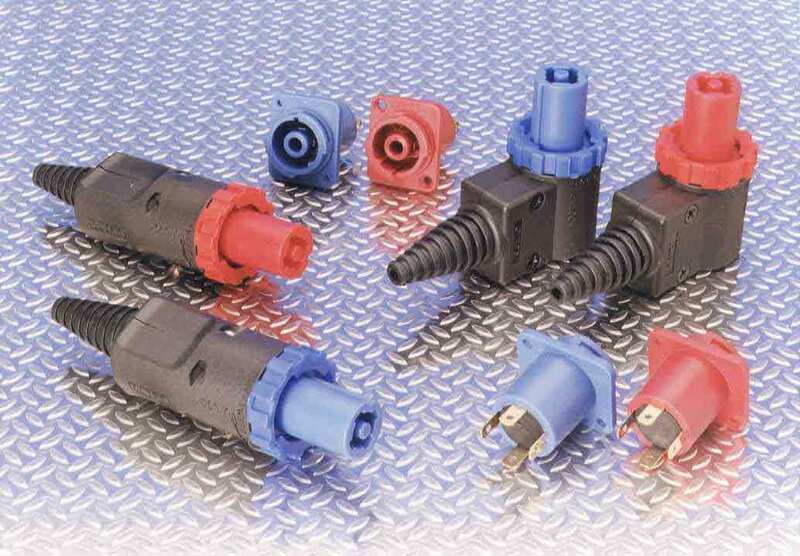 Combination Faston® quick disconnect and screw / solder connections with clearly marked pin identification inside the line connectors.